As Apple fan boy No. 42, the release of a new gadget, especially MacBook or iMac, comes with a surge of expectations. Later in the fall, we’re looking at a possible launch of the iPhone 8, which may coincide with the 10th anniversary celebrations, and it looks like a game-changer that will keep most of us excited. In the meantime, the folks at Cupertino, CA haven’t had any revolutionary changes to their product lines this year so far, but it isn’t a bad thing, as things keep getting better. Case in point; the latest 15-inch MacBook Pro MPTT2LL/A gets much in performance thanks to newer components –Intel’s latest Kaby Lake processor– as the hallmark upgrade, with focus on speed, class-leading battery life, packed into an already perfect, well-designed laptop with a crisp, 15-inch display. It is the best 15-inch MacBook Pro, so far. If you’re part of the ‘Mac Cult’ and considering an upgrade, this premium-class laptop is worth the buck. This year’s MacBook pro hasn’t changed much in design. It sports the same aluminum build, premium construction and styling as last year’s model. It comes in two color variations Space Gray (our test unit) and Silver, but both are easy on the eyes and have a nice feel on the hands. Measuring 0.61 by 14.75 by 9.48 inches (HWD), and weighing 4.02 pound, the MacBook is portable enough for daily commute in a mid-size backpack. $1,749.00 at Amazon , which features an aluminum chassis with a carbon fiber keyboard, is fairly heavier and thicker, but still in the same league at 0.66 by 14.06 by 9.27 inches and 3.9 pounds. Last, I reviewed the ASUS ZENBOOK UX501VW-DS71T, and behold it mimics the MacBook Pro to a wider margin than the XPS does, but is fairly bigger than both at 0.8 by 15.1 by 10 inches and 5 pounds. With the new MacBooks, you get a large than usual trackpad (7.25 inches), which gives you enough estate to use the gesture commands with the macOS. In last year’s model, we had a glimpse of Force Touch, and here it works well with clicks and hold presses on the trackpad that enable you experience the new MacBook features. It responds well, but the experience would be even better if it was more sensitive to light taps for basic functions like selecting files and folders, without the need to apply more pressure. The laptop runs on MacOS Sierra, but it should work with the beta releases of MacOS High Sierra, before the full OS launches in the fall. As expected, the keyboard is very shallow, with little key travel, and comes with no feedback to your generous presses, it feels like you’re typing on a card board, we hope Apple can do better for the keyboard. Still, it is responsive, but it isn’t the best experience for an editor or freelancer who spends considerable time typing. The speakers flank the keyboard, and produce clear sound without distortions, and are audible enough to fill a small-to medium-size room easily. So far, the most interesting new feature that debuted on 2016 MacBooks, the Touch Bar, an active area that measures about 10 inches wide and just under a half-inch tall, but transforms the space at the top of the keyboard, traditionally held the row of Function keys. It’s essentially an auxiliary touchscreen that app developers can use to their benefit; on a lighter note though, Apple have been trying hard not to bring a touch screen to the MacBook, but we now have it – the small size and position notwithstanding. However, being an actual glass, don’t expect it to be more effective and useful like the function bar and adaptive keys on the 2014 version of the Lenovo ThinkPad X1 Carbon, which integrated a set of backlit stencils into sharing buttons in four modes on the same physical surface. The Touch Bar functions more like the Apple Watch, if the tactile surface that can change and display graphics or text and thumbnails are anything to go by. Don’t confuse it for a touchscreen, rather, consider it to be more of a workflow enhancer, since it only displays commands, but you have to dig for the menus. Using it is quite straight forward, especially if you’ve been using Apple products and familiar with the icons. For instance, from the keyboard control panel you can replace any of the Touch Bar’s default functions with specific commands to turn on the screen saver, take a screen shot, activate Sleep mode/screen lock, enable dictation, among others. If you often use these functions, then the Touch Bar will make have them close for convenience. In case you still need the traditional function keys (and the Esc key), all you got to do is tap and hold the Fn key on the bottom row of the keyboard to call them up on the touch Bar. The bar supports 10-finger touch input, so you can hit multiple buttons simultaneously or use other multitouch gestures as an app requires. To the right of the Touch Bar there’s a combination Power button and Touch ID sensor. It lets you unlock your laptop in one step after you’ve signed in for the first time (though as on the Apple Watch, iPhones, and iPads you’ll have to enter your password after a reboot). After you train the laptop to recognize one fingerprint, you can enter up to four others, so you can use either hand or support up to five different users. The screen is awesome, excellent and everything else. The 15.4-inch Retina display has a resolution of 2,560-by-1,800, with a vibrant, and crisp profile. It is rated at 500 nits, same as last year’s model, which helps brush off reflections, when working in a sun-drenched office or finishing a project outdoors. Just like its predecessors, the display has a DCI-P3 color gamut, to match the wider range of colors that you can capture with the iPhone 7 and 7 Plus, the iPad Pro, or an actual camera. The new MacBook Pro is fitted with four USB-C/Thunderbolt 3 ports, which is double those in the 12-inch MacBook Pro. There are two placed on each side, and you can actually charge the laptop from any of them, alongside a standard headphone jack on the right. While we give Apple credit for including four ports, we’d have preferred at least one USB 3.0 (Type-A) port for connecting older peripherals. What that means is that you’ll have to purchase a USB-C–to–USB adapter if you want to connect a USB thumb drive, a USB-C–to–Lightning cable for your iPhone, and a Thunderbolt 3–to–Thunderbolt 2 adapter to connect a Thunderbolt hard drive. Port selection is at par with competitors like the HP Spectre 13 and Asus ZenBook 3, but the Dell XPS 13 Touch boasts both USB 3.0 and USB-C/Thunderbolt 3 ports. Apparently, a third-party docking station will come handy or even a monitor with a Thunderbolt 3 cable, but you’ll probably need to buy a bag full of dongles or simply upgrade your peripherals. Yes, we all will eventually adjust, but for now it’s an incomprehensible, costly inconvenience that will annoy most of us. 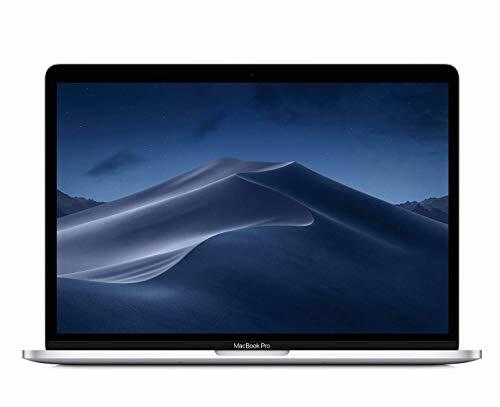 For storage, our test unit, is equipped with a snappy 512GB solid-state drive (SSD) and 16GB RAM, though you can go for the base model of the 15-inch MacBook Pro that comes with 256GB and 16GB RAM. Other include a 720p front-facing camera, 802.11ac Wi-Fi, and Bluetooth 4.2. The RAM can’t be upgraded later, so keep that in mind before you make a purchase. As with all Macs, it comes with several preinstalled apps, including iTunes, iBooks, Keynote, Numbers, Pages, and Photos, so you’re all set to use the system as a home base for your Apple TV, Apple Watch, iPhone, and iPad. A system equipped with a 2.9GHz seventh generation Intel Core i7 processor and 16GB of memory must be fast, and the newest MacBook Pro doesn’t disappoint. While it isn’t possible to run the usual Windows-based test suits, its multimedia performance on Photoshop, AutoCAD and video encoding point towards a very stable machine. It does deliver good performance than most premium general-use laptops on most media tasks, though it can’t match the high-end gaming laptops that come with overclocked processors and better dedicated graphics cards, like the Razer Blade and the HP Omen 17. The XPS 15 is a strong contender in both Photoshop and media encoding, though the Pro gets and upperhand as a professional laptop meant for the creative folks. Overall, this year’s MacBook Pro offers better performance over its predecessor from last year. With a discrete 4GB Radeon Pro 560 graphics card, the Pro suffices for 3D tasks and gaming. This is a modest car that only performs better than an integrated card, but won’t survive any serious gaming. Let’s face it, neither the MacBook or the XPS 15 are meant for gaming, though the Nvidia GeForce GTX 1050 in Dell’s XPS 15 is more-gaming friendly. Both of these laptops can be used for 3D applications, though the XPS has more power and can play modern titles smoothly, though they both can’t play games at native resolutions. It is possible to do some gaming on the MacBook Pro, but you’re to tone down the graphics options for smooth frame rates. Battery life on MacBooks, is always, perfect. The newest MacBook Pro lasts for 15 hours and 7 minutes, better than any laptop we’ve tested so far. Last year’s MacBook lasted 11 hours 14 minutes, while the HP Spectre x360 lasted 10 hours 13 minutes, which is almost double the XPS 15’s 6 hours 8 minutes (due to power-sipping 4K resolution display). The 2017 MacBook Pro lead the pack, with better battery life than any laptop we’ve tested, yet. In 2017, Apple made modest changes to the MacBook Pro, but they are well worth, and battery life is the best among them. It delivers better performance than last year’s model, thanks to the newer Kaby Lake processor, otherwise the other aspects like size and features remain unchanged. If you own the 2016 model of the MacBook Pro, I don’t see any compelling reason(s) to upgrade. But if macOS is must have, over Windows, and have the spirit to pay, I can vouch this as the perfect upgrade to your dated Apple laptop. If the sticker price for the 15-inch model is a bit daunting, you can opt for the 13-inch model as they are modestly priced, but the experience is almost the same. $1,749.00 at Amazon is worth considering. Yes, it scores dismally on battery life, but it’s a heck faster and more fully featured than even the MacBook Pro, with a Kaby Lake Intel Core i7 processor, a 4K resolution display, light weight design, excellent connectivity and dedicated graphics card for gaming and 3D applications. It remains our top pick for high-end desktop-replacement laptops. The 2017 Apple MacBook Pro MPTT2LL/A hasn’t changed much over last year’s model, but it adds a few improvements in performance and battery life to the already premium design. 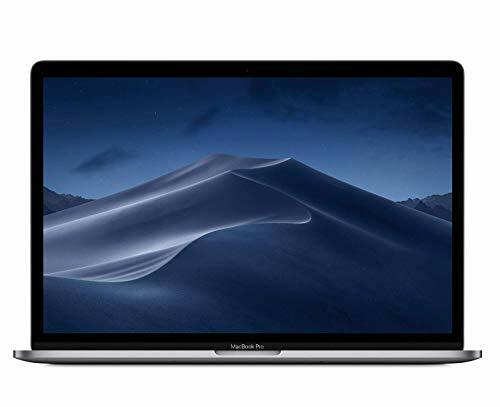 It is a 15-inch system that is a prime choice for creative artists, professional editors and anyone looking to upgrade an already aging MacBook laptop.